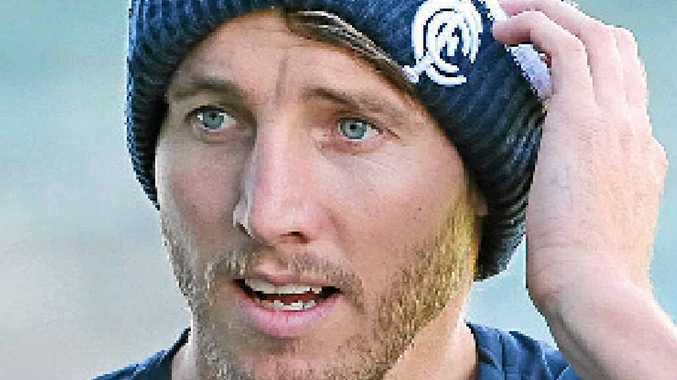 WHEN Carlton hit rock bottom after losing to Melbourne in round four, coach Mick Malthouse was given a spray by commentator Mark McLure, the former Blues captain labelling Malthouse's treatment of the media as disrespectful. If the irascible Malthouse heard the criticism, he didn't heed it. Malthouse accused the media of trying to turn what he believed was a side show, into the main act. "The side show will be Dale Thomas. Absolute side show," Malthouse said. "You guys want to make it an issue, and that's your job. "No one could deny your role. But don't try to make it that it's our number one fundamental issue because it's far from that. "It's hardly a blip on the radar. You can make what you like out of it. Build it up. Make it the main focus. "But how Dale goes, or how he doesn't go, won't have any bearing on the W or the L."
Perhaps not surprisingly, Collingwood coach Nathan Buckley was happy to talk up the importance of the occasion to Thomas, describing it as a "marquee game" in his career. "He's taken the opportunity to move on to a new club, and that test happens for any player who moves clubs," Buckley said.